Harmony is the one thing that everyone wants to enjoy with their family on a day of celebration. 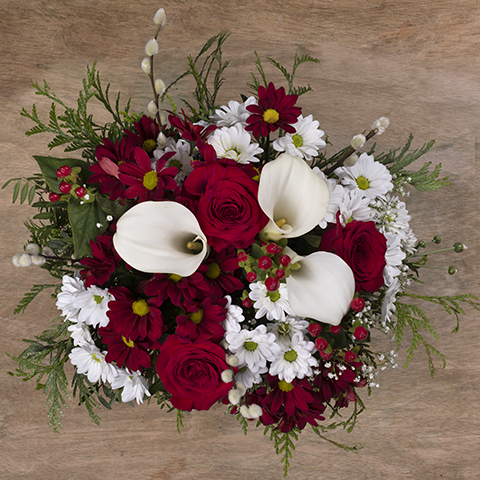 This inspired us to create this arrangement of Roses and Callas with its perfect two-colour balance, red from chrysanthemums, roses and hypericum and white from more chrysanthemums calla lilies and salix. 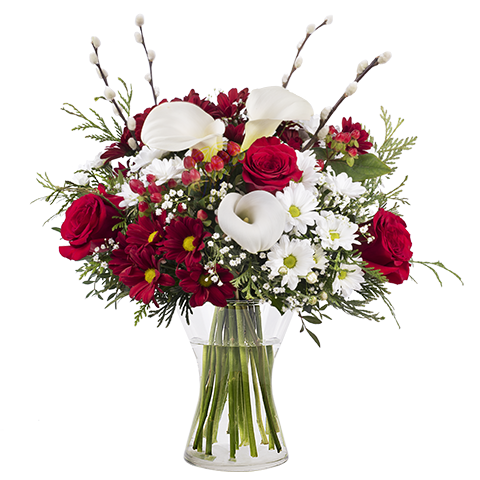 Share a feeling of peace and harmony just in time for the any occasion with this serene winter bouquet! It was fast and nice. 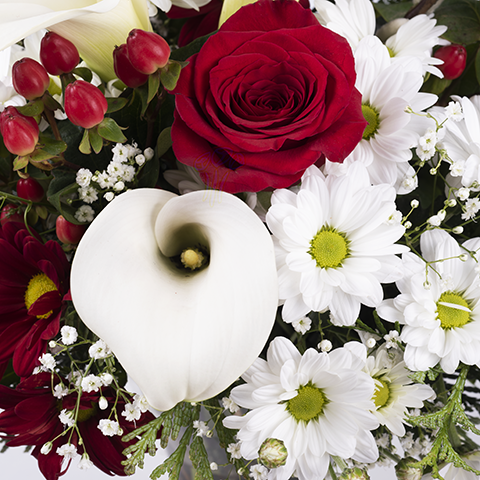 Perfect service: Beautiful flowers, sure delivery. Good service and exact day for delivery. 5 Stars!!! Great flowers and delivered on time. Fantastic. Went out of their way to get my flowers to me.